Skiers often must make the hard choice between being the most stylish person on the slopes or being the most comfortable person instead! Well now you can eliminate this challenging choice, and have both at the same time. With the KALBORN Thermal Jacket For Ski / Snowboarding you can be both stylish with its edgy design and comfortable with it high-quality materials at the same time! 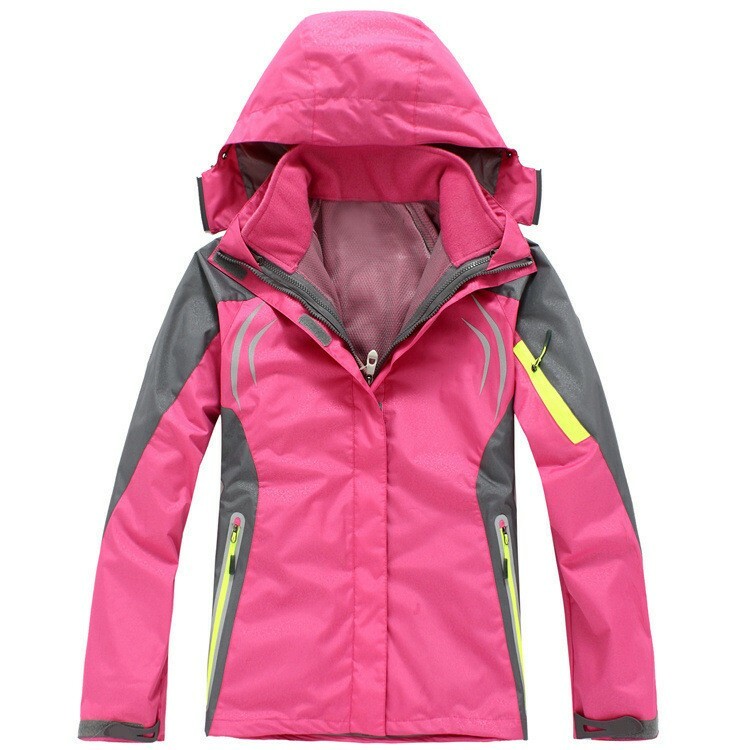 This winter, have an amazing time skiing with this equally amazing women’s ski jacket. ⇨ The feeling of having bitter cold wind fly down your back is a very unpleasant one, especially when you are flying down the ski hill! With this women’s jacket, you no longer have to worry about that issue, as there is windproof material that blocks out the breeze. There is even an added windproof hood that ensures you will stay free from the freezing wind! ⇨ Skiing is extremely hard work, and you will want to make sure that you don’t get overheated while you are doing it! The high-quality nylon, cotton, and polyester materials in this jacket allow air to flow through so that you can breathe in your jacket! You won’t get too hot on the hill with this women’s ski jacket. ⇨ Don’t get soaking wet on the hill this season with the KALBORN women’s jacket! The sturdy waterproof materials in this coat ensure that you will stay perfectly dry all day long as the jacket repels water and prevents it from soaking into your clothing. Now you can stay on the hill for longer and have more fun without having to worry about getting wet from the snow! I do really like these jackets, but it's too bad the seller sent me the wrong color. I very disappointed with this purchase, anyway the quality of these jackets is ok if compare with the money I paid. I want the rose red color jacket, not the pink one......This is my body measurements for another buyers reference: Bust 94cm, Shoulder 38.5 cm, Waist 84cm, Hips 100 cm, Weight 59 kgs, High 157 cm. I think I can wear size M, but size L is ok for me too, a little bit loose. The Jacket Is excellent, but grid podviraet-bust 102, hips 107 get oblipku.